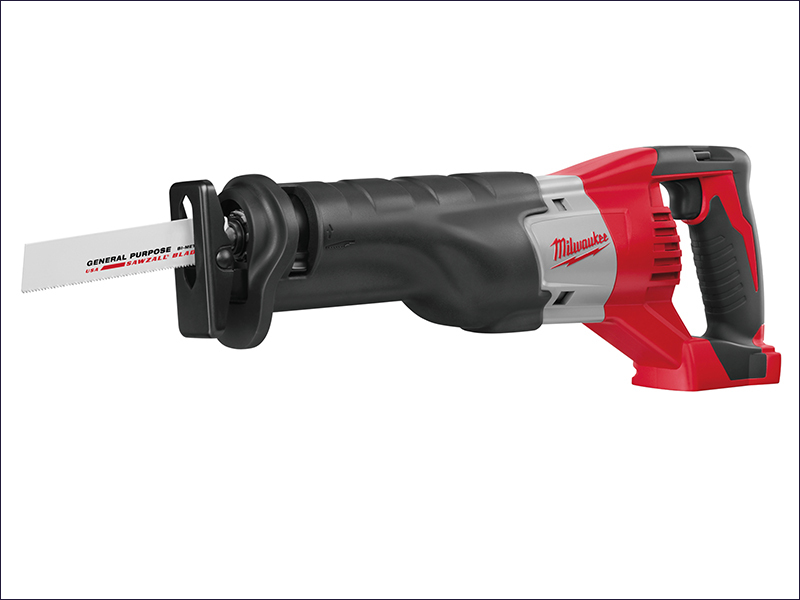 The Milwaukee HD18 SX SAWZALL® has a high performance 4-pole motor to deliver maximum power, whilst maximising the power to weight ratio. It has a counterbalance mechanism, meaning that it produces less vibrations for a more comfortable use. The SAWZALL® has a Milwaukee® patented FIXTEC clamp for fast and easy keyless blade change. It is extremely fast cutting, with a 25mm stroke length and 3,200 strokes per minute. A gear protection clutch protects the gearbox in case of blade lock ups. REDLINK™ overload protection electronics in tool and battery pack deliver excellent durability. A fuel gauge displays remaining battery charge state. Strokes at No Load: 0-3,200/min. Bare unit only. Batteries and charger NOT supplied.